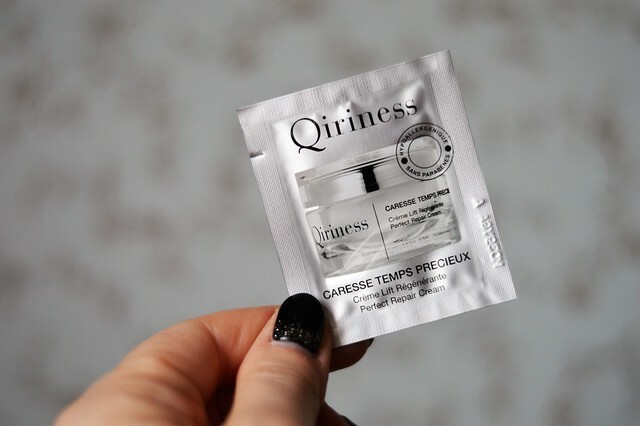 Today another Qirness sample post and that’s all got to do with the many samples I got when buying some Qiriness products lately. Last week I told you about 3 products for an absolutely divine facial and today I share with you my first impressions on three different creams I got. First impressions? This cream can be used in the mornings and at night. It helps to protect the skin from pollution and provides an anti-redness solution. I have used this cream four times and I liked using it. I like the consistency of the cream which is not too rich, nor too fluid and it smells fresh. Using the cream, made my skin feel fresh and velvety, a perfect base for my foundation! First impressions? This lovely scented cream was a pleasure to use! It is a day and night anti-aging treatment which works on lifting the skin. It has a creamy texture. The cream tightened my skin leaving it firm and fresh. First impressions? This cream also can be used in the mornings and at night. It’s an anti-age cream which works on fortifying, remodeling and firming the skin.I really liked using the sample. The cream has a light texture which is absorbed by the skin immediately. It matified and tightented my skin. Which cream did I prefer? 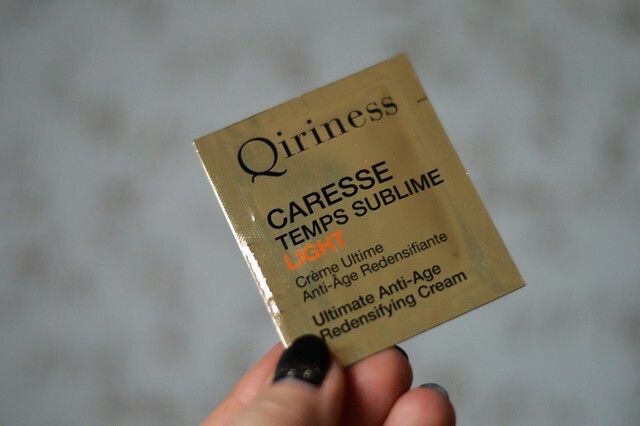 All three are good creams, but I preferred the last one, the Caresse Temps Sublime Light. I would use this one in the morning and the Caresse Temps Précieux at night as that has a slightly creamier texture. The Caresse Temps Sublime Light is the most expensive out of the three. It costs about 73 EUR for a 50 ml jar, which I think is a bit expensive for a day cream. 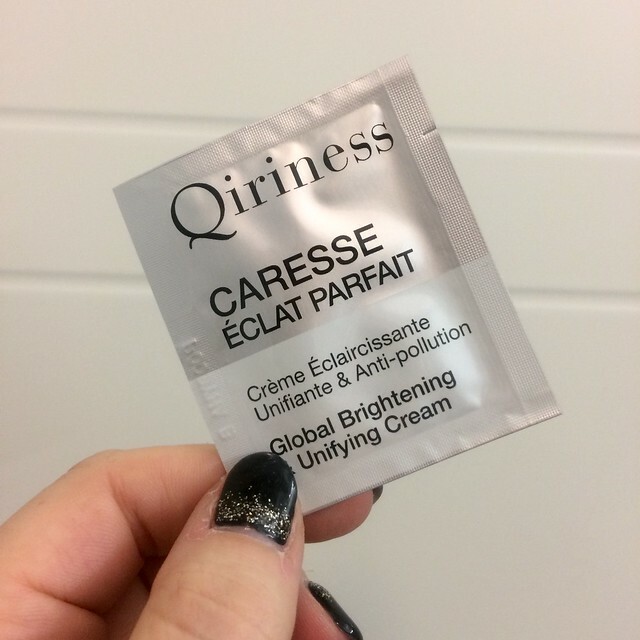 The Caresse Temps Précieux is about 62 EUR and the Global Brightening & Unifying Cream will cost you around 55 EUR. I probably won’t buy these creams as I think they are a bit expensive… but who knows I might treat myself one day?! Have you already used one of these creams? Let me know what you think! This entry was posted in Beauty, samples and tagged beauty, qiriness.